The Flex system is designed to bring a functional workout to the truck. Rolling Strong promotes building core strength, muscle toning, weight management, flexibility and improved cardio vascular health. 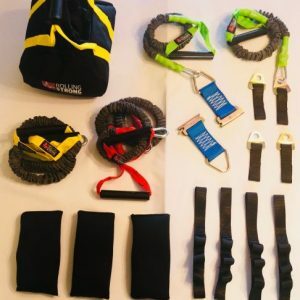 Flex, allows you to connect low impact resistance bands to various connection points in the truck and trailer or use a soft shell kettle bag or sand filled neoprene hand weights to get impactful workouts while away from home. Use the Rolling Strong App to guide you through workout routines using the Flex system. 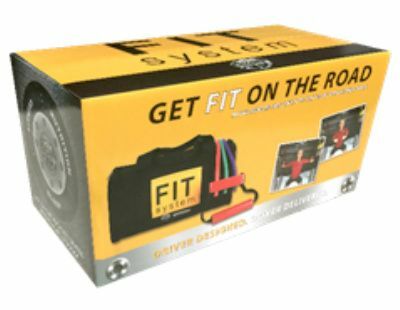 The Industry’s First FIT System, a workout solution for professional drivers looking to workout in the convenience of their own truck. Trucking companies and owner operators alike see the many benefits of adding stretching exercises to their pre-load and load checklists helping, them reduce rotator cuff issues. Drivers also can take advantage of the workout system to get their cardio and strength training in, without having to leave their cab. This helps them lose weight and stay on the road to better health. 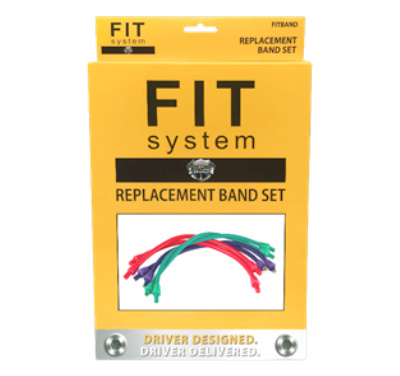 This replacement band set is designed to replace or upgrade the resistance bands for existing FIT Systems. The bands wear down over time and should be replaced every 6-8 months to maintain resistance level and avoid breakage. 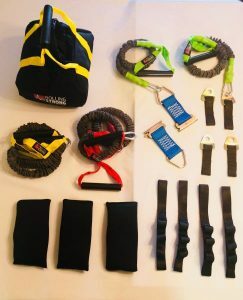 These bands are commercial grade and designed for this environment but should be kept out of UV light and sunlight as much as possible to avoid breakdown of the rubber.